2019 Volkswagen Jetta 1.4T S, STK# 38635, VIN: 3VWC57BU1KM053648. Payments based off MSRP of $20,560. 10,000 miles per year for 36 months with $2,999 due at signing. Amount due at signing includes first month’s payment, capitalized cost reduction and acquisition charge of $675. Excludes tax, tag, registration charges and $300 dealer processing charge (not required by law). For highly qualified customers through Volkswagen credit. At lease end, lessee responsible for disposition charge of $395, $0.20/mile over 30,000 miles and excessive wear and use. With approved credit. Valid only at Ourisman Volkswagen of Waldorf. Offer expires 02/28/19. Drivers in Waldorf and Fort Washington, Md., and Alexandria, Va., will love the fully re-designed 2019 Volkswagen Jetta. If this car was good before, now it’s incredible. Not only do you get more features for your money, but the 2019 Jetta is safer, roomier and more desirable than ever before. The base Jetta comes with simulated leather upholstery, heated seats, sunroof and 17-inch wheels. Imagine what the upper tier has in store for you. Better handling, improved ergonomics, more room for your knees and easier-to-use digital features make the 2019 Volkswagen a must get – now or in the new year. 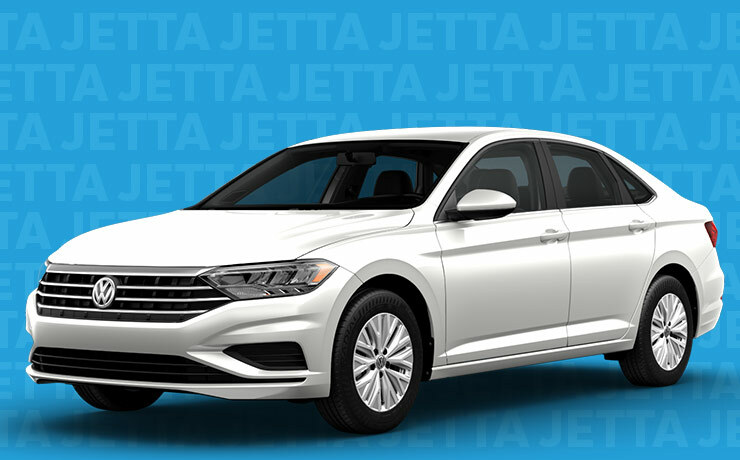 The 2019 Volkswagen Jetta is available for purchase or lease at Ourisman Volkswagen of Waldorf. 2019 Volkswagen Tiguan 2.0 S, STK# 39625, VIN: 3VV0B7AX6KM035089. Payments based off MSRP of $26,675. 10,000 miles per year for 36 months with $2,999 due at signing. Amount due at signing includes first month’s payment, capitalized cost reduction and acquisition charge of $675. Excludes tax, tag, registration charges and $300 dealer processing charge (not required by law). For highly qualified customers through Volkswagen credit. At lease end, lessee responsible for disposition charge of $395, $0.20/mile over 30,000 miles and excessive wear and use. With approved credit. Valid only at Ourisman Volkswagen of Waldorf. Offer expires 02/28/19. Boasting an impressive 48.6 cu.-ft. of cargo space, the 2019 Volkswagen Tiguan crossover is perfect for adventurers and families alike. There’s an optional third row seat so you can comfortably seat 7 people. However, none of that matters if you don’t have what it takes under the hood – and the 2019 Tiguan does. A 2.0L turbocharged I-4 engine (184 HP/221 lb.ft of torque) paired with an 8-speed automatic transmission means you’ll be able to go anywhere and carry all your equipment while going there. The ride is smooth and comfortable. But, what matters most to drivers is safety. The 2019 Tiguan doesn’t disappoint in that respect. With a suite of advanced safety technology, the 2019 Tiguan gives you the confidence that you an your passengers are taken care of. Drivers in Waldorf and Fort Washington, Md. 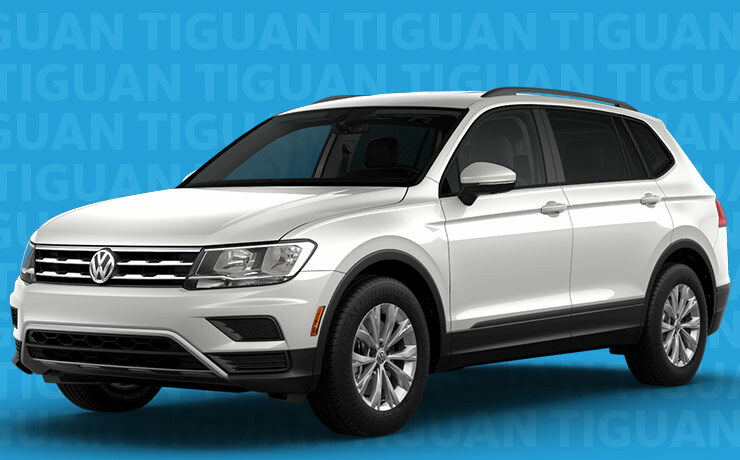 ; as well as those in Alexandria, Va., can get the versatile 2019 Volkswagen Tiguan at Ourisman Volkswagen of Waldorf. Experience exceptional German engineering, top safety features and unrivaled comfort in the award-winning lineup of Volkswagen vehicles. Visit Ourisman Volkswagen of Waldorf today! 2019 Volkswagen Passat 2.0T Wolfsburg, STK# 39534, VIN: 1VWLA7A37KC004010. Payments based off MSRP of $27,425. 10,000 miles per year for 36 months with $2,999 due at signing. Amount due at signing includes first month’s payment, capitalized cost reduction and acquisition charge of $675. Excludes tax, tag, registration charges and $300 dealer processing charge (not required by law). For highly qualified customers through Volkswagen credit. At lease end, lessee responsible for disposition charge of $395, $0.20/mile over 30,000 miles and excessive wear and use. With approved credit. Valid only at Ourisman Volkswagen of Waldorf. Offer expires 02/28/19. Maryland and Virginia drivers looking for a comfortable, affordable, reliable and sleek-looking family sedan should look no further than the 2019 Volkswagen Passat. With a voluminous interior, crisp infotainment screens, advanced safety technology and a 2.0L turbocharged I-4 engine (175 HP), the Passat is perfect for the streets of Waldorf and Fort Washington, Md., and Alexandria, Va.
One factor Passat drivers will appreciate is its improved outward vision. By lowering the dash, the driver’s sight line has increased. Long-legged friends and family members will also appreciate the spacious interior. And the kids will like the 2019 Passat’s infotainment compatibility. 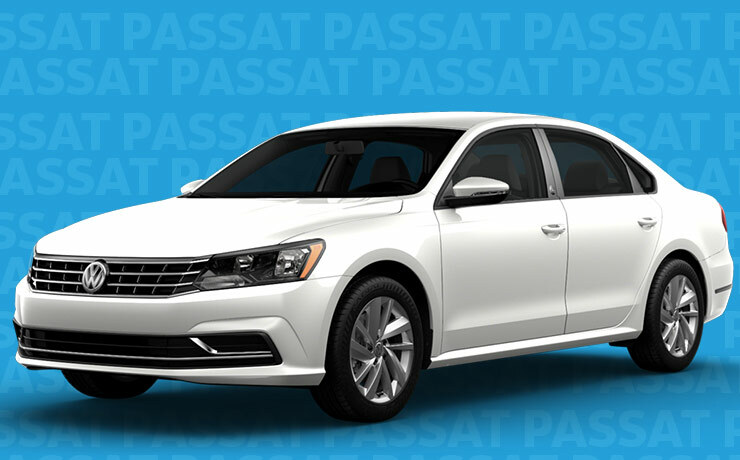 The exciting 2019 Volkswagen Passat is available for purchase or lease at Ourisman Volkswagen of Waldorf.